#afpcongress "If you're not on social media you're probably out of the loop!" #afpcongress - so let's say you only have budget for 1 book at the conference - which one?? so many to choose from. Suggestions? Looking fwd to running webinar in a few hours at #afpcongress. Must get to bed though. 3.30am start. @howardlake what did you think of yesterday's tweets from #afpcongress ? @johnlepp Didn't see too many of the #afpcongress tweets but was aware there were alot. Were they useful for you? Happy Birthday to @cormack_lindsay! She's spending the day at #afpcongress! “@pathammavong: Happy Birthday to @cormack_lindsay! She's spending the day at #afpcongress!”. Happy birthday!! 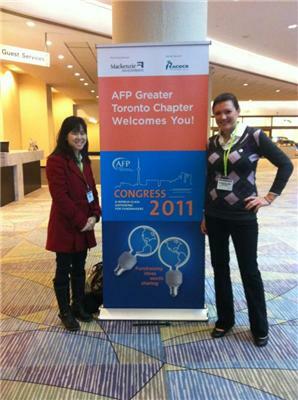 “@WendySungAad: @MrsMcDowall So great to finally connect with you live @ #afpcongress today!” Great to meet you! Got a pocket full of biz cards after Day 1 of #AFPcongress (or any conference)? Connect with those people ASAP on LinkedIn. 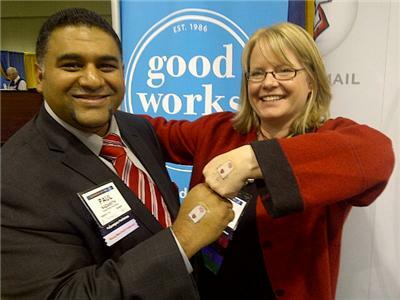 @MrsMcDowall how was day 1 of Fundraiser Armageddon, aka #afpcongress? Day 2 of #AFPCongress. Can't wait for today's sessions! @howardlake My #afpcongress tweets will be coming later, I'm old skool & enjoy simply listening in the moment. Just met @GailPerrync in person. #afpcongress great insight into volunteer mgmnt. 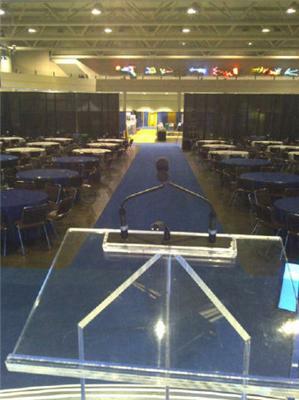 Tech issues at #afpcongress has rosemary Oliver speaking 2 rooms down rather than here... Lol.